Did you know we have cancer cells in our body right now? 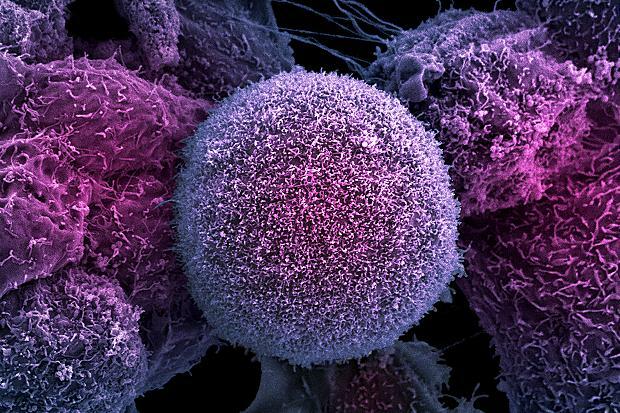 On average we have between 500-1000 cancer cells in our body at any given time. So, why don’t we have cancer (the disease)? It’s because of the balance among our immune system, liver, and emotional health. When a diagnosis of cancer is made, balance has been lost in each of these three systems. Prevention starts with supporting their health. The liver’s role is to detoxify our body. If this process is hindered or overwhelmed then there is increased likelihood for harmful chemicals that can cause the genetic defects in our cells to remain in the body. 1. Quit smoking, or better yet, don’t start. Smoking is still the number one factor to increase risk of cancer. If smoking is an issue consult a naturopathic physician to help quit as it can take more than just will power, like balancing blood sugar and hormone function. 2. Daily detox by limiting toxins into the body and increasing toxins out. Limit inflammatory foods like gluten, dairy, alcohol, and sugar. Choose organic foods as often as possible. Eat loads of veggies and fruit (6 cups a day minimum) as these foods supply the liver with necessary co-factors to safely eliminate toxins. 3. Decrease dependence on prescription medications. Medications put stress on the liver. A drug in circulation is filtered by the liver about 300 times in a day. The drug’s goal is to outsmart this filtration and stick around long enough to do what it was designed to do and the liver’s goal is to break down all chemicals and remove them from circulation. 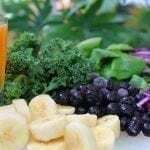 This battle can deplete vitamins and minerals the liver requires to detoxify other chemicals in your body. We are NOT recommending you stop taking necessary medications. We ARE recommending you add health to your life such that you don’t need them any more. One of the essential jobs of the immune system is to determine self from non-self. The cells of the immune system are constantly answering the questions, “are you me?” or “are you not me?” The bodies ability too answer these keeps us free from pathogens like bacteria, viruses, and other foreign particles. In cancer, the hard part is the cells that cause the issue are “me”. In a healthy body, the immune system kills these rouge cells and keeps their numbers in check. The lack of the ability to differentiate between Me and not me is one of the key reasons cancer takes hold. 1. Limit immune compromising foods like (you guessed it) gluten, dairy, sugar, and alcohol. Sugar especially suppresses immune function and is the fuel for cancer cells. 2. Eat supportive foods like veggies and fruits. Get your antioxidants and probiotics. See the side bar for specific foods in these categories. 3. Be who you are. Do know know what makes you happiest? Do you know at your core what makes You, you? This might sound funny, but people who are unsure about these questions also often have a trouble with their immune systems. The more clear we get about our likes, dislikes, and preferences, and take action by using our VOICE to speak up about these desires, the better our immune system functions. There is an emotional component to all disease, and this is especially true in cancer. When we explain this to our cancer patients most of them immediately know what the emotional issue is. Some people have no idea yet, and further exploration into this is necessary to support healing. Cultivating healthy emotions is HUGELY preventive to the cancer process. Healthy emotions are emotions that come up and are experienced at the time they are triggered (vs suppressed and revisited at another later time, sometimes years in the future). Healthy emotions mean we have full and complete access to the full rage of emotions from ecstasy and pure joy to sadness, grief, and even depression. 1. Learning to love ourselves is the most healing thing we can do to cultivate healthy emotions. The root of emotional suppression is often a belief in being wrong, undeserving, or not good enough to truly voice our feelings. This usually manifests as self-criticism, complaints about ourselves, or unwillingness to forgive ourselves for what we feel we have done “wrong” along the journey of life. 2. Cultivating self awareness by getting quiet and listening to the signals of our body. Our bodies are talking to us all the time. Its first communication is through emotions meant to guide us towards health and away from dis-ease. If we don’t get the message, or ignore it, the body talks to us a bit louder with physical symptoms. And finally, if we still have not heeded the call to change how we are living, disease results.